Our thanks to this evening’s guest lecturer, philosopher Dr Kenn Nakata Steffensen from UCD, for an informative and wide-ranging talk on historical usage and translations of the terms Far East and East Asia in the context of Japan and Europe. This event formed part of a series of activities taking place in Trinity College Dublin in 2017 celebrating 60 years of Japan-Ireland diplomatic relations. We are grateful to the Embassy of Japan in Ireland for their endorsement of this evening’s lecture. 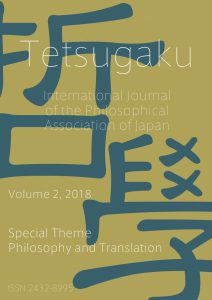 I will be back at TCD on the 1st December to speak about Japanese-English translation of philosophy at the international symposium on Japanese Studies in a Global Context. I will address the same theme, with slightly different emphases, at the “Frontiers of Phenomenology” conference at University College Dublin on the 14th December.